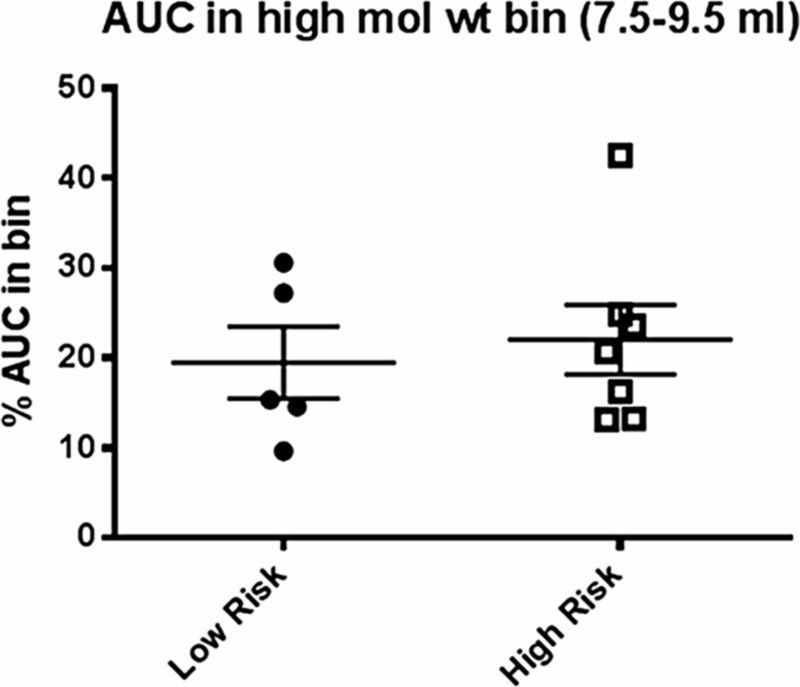 Risk variants in the uromodulin gene (UMOD) occur at a high frequency. To assess the possibility of selective pressure, Ghirotto et al. characterized in human populations, ancient human genomes, and primate genomes the allelic frequency of the lead UMOD promoter variant, which associates with increased risk of salt-sensitive hypertension and CKD. Their data suggest that the ancestral allele, rather than the derived allele, conferred a selective advantage and point to protection against urinary tract infections, rather than salt avidity, as the adaptive advantage. Future studies should investigate the influence of UMOD genotype on susceptibility to urinary tract infections. See Ghirotto et al., pages 2983–2996. The physiologic and pathophysiologic mechanisms regulated by renal circadian rhythms remain unclear. In this issue, Nikolaeva et al. report that conditional, nephron-specific knockout of the gene encoding the critical molecular clock protein BMAL1 in adult mice does not affect GFR or water, sodium, or potassium balance, but does affect pathways involved in intrarenal and systemic metabolism and organic anion transport. These results indicate that the tubular circadian clock regulates critical functions, including the control of drug pharmacokinetics. See Nikolaeva et al., pages 2997–3004. 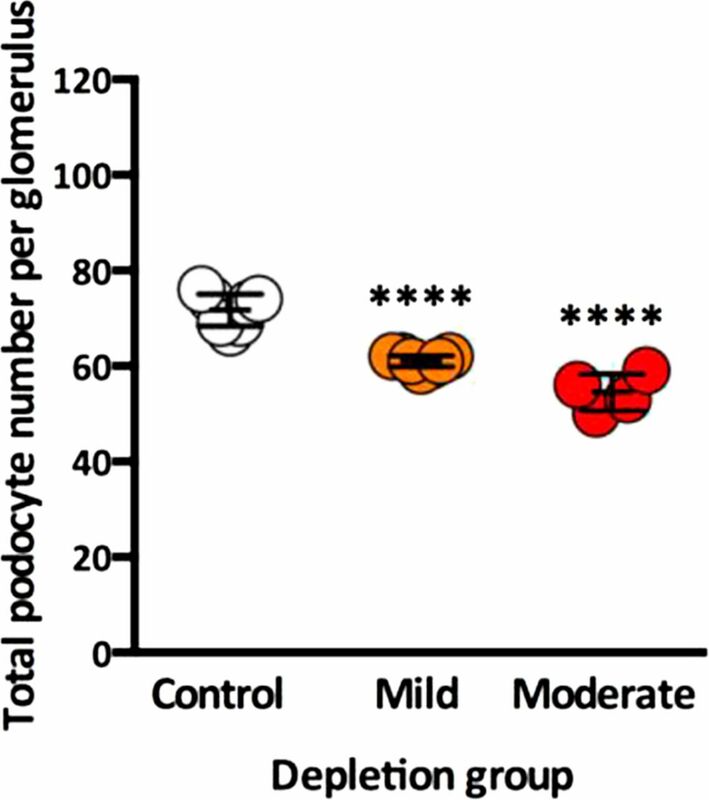 A precise and accurate yet rapid method for quantifying podocytes in whole glomeruli is needed. Here, Puelles et al. describe the development of such an approach, which involves immunofluorescence, optical clearing, confocal microscopy, and three-dimensional analysis. The authors validated the accuracy and efficiency of this approach in a mouse model of podocyte depletion and present an in-depth characterization of podocyte volume. This approach may advance histopathologic analysis in glomerular disease as well as the study of podocyte regeneration. See Puelles et al., pages 3093–3104. Exposure to proton pump inhibitors (PPI) associates with higher risk of AKI, but the relationship between PPI exposure and risk of CKD or ESRD is less clear. Xie et al. examined this relationship in a large cohort of US veterans without kidney disease at baseline who began using PPI or histamine H2-receptor antagonists. In multivariate Cox regression analyses, exposure to PPI associated with greater risk of incident CKD, CKD progression, and ESRD, with risks increasing as the duration of exposure increased. Although studies in diverse cohorts are needed, this information further supports concerns regarding the indiscriminate use of PPI. See Xie et al., pages 3153–3163. Which of the factors associated with renal allograft loss have value for predicting outcomes in individual patients? To address this question, Gonzales et al. conducted a retrospective study with 1465 adult kidney transplant recipients. Here, the authors report that the existing Birmingham risk model, which incorporates clinical variables at 1 year post-transplant, predicted 5-year death-censored and overall graft survival, yet adding histologic data obtained at 1-year surveillance biopsy to the model for death-censored graft loss enhanced predictability and calibration. Incorporating donor-specific alloantibody data improved calibration slightly. Application of such a model should facilitate improved risk stratification and care of individual transplant recipients. See Gonzales et al., pages 3165–3174. Most individuals with the G1 and G2 APOL1 renal-risk alleles remain asymptomatic, thus risk stratification markers are needed. Kozlitina et al. combined their previously developed liquid chromatography-mass spectrometry method with other analyses to examine circulating APOL1 variants in a population-based cohort of 3450 individuals. Neither the levels nor the composition of circulating wild-type, G1, or G2 APOL1 associated with CKD. Moreover, other genetic variants that associated with circulating APOL1 levels in trans did not associate with renal disease. These findings provide further evidence that circulating levels of APOL1 variants are not useful biomarkers of renal disease risk. See Kozlitina et al., pages 3204–3219. Cleared: Traffic congestion in St Johns on I-95 north beyond Intl Golf Pkwy. Content provided by Waze. Last updated at 10:27:47PM.